Looking onward, (news flash… the Knicks are 1-9) we can hope for another potential “impact” rookie playing in a Utah Jazz uniform and providing similar, if not better, results next year. As last year’s crop of talent was well-known for being strong on point guards, this year’s crop of NBA prospects is loaded with power forwards. The college basketball season ought to be extra exciting (now that it’s here) because so many quality players decided to stay in the college ranks. And for this reason alone, next year’s draft should be that much deeper and imressive. Jazz fans have plenty of reason to follow the upcoming college basketball season, because we’ll be able to witness the progress of a future star Jazzman. Let the college season begin! Who are the players to watch? 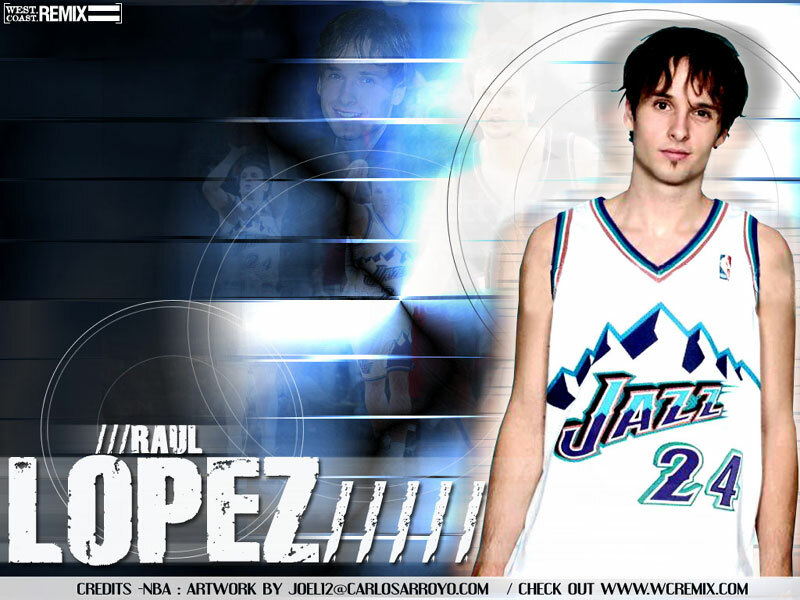 And who can you picture playing for the Jazz? 7-foot center, plays for Kansas, even sports a military-like crew-cut… Remind you of anyone? ... The next coming of Mr. Double-0 Ostertag! To be fair, Aldrich is much better, more talented and skilled. Could be a staple on the frontline for years. 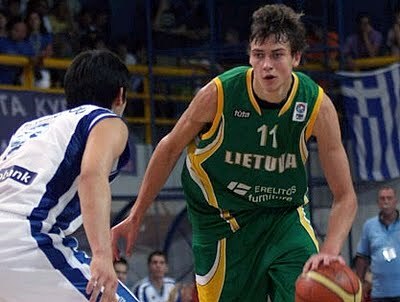 Foreign, caucasian, skilled 7-footer, compared to Dirk & Toni Kukoc… he’ll fit right in with the rest of our foreign frontline. While he doesn’t play college ball, hoops observers will most certainly be following his every move. Will probably be either the #1 or #2 pick taken in the draft. Explosive, athletic and extremely talented… Is he more like Amare Stoudamire or Stromile Swift? I guess we’ll find out. I watched a UNC game the other night. Davis is more potential than product. 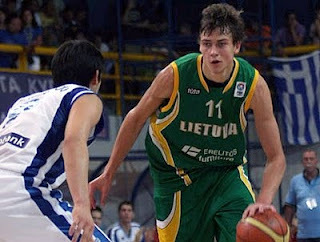 Will he be more like Chris Bosh or Channing Frye? Stay tuned. Monroe had a solid outing for the Hoyas, scoring 18 points, 11 rebounds and 2 blocks in his 1st game. The 6-11 lefty could have a huge year. Here’s the newcomer on the block… a shotblocker extraordinaire. Was Eric Maynor’s teammate at VCU. If you like a replacement for Boozer’s scoring, this is your guy. Brackins can score from anywhere on the floor. Ohio State plays him at point guard. In two games, Turner is averaging 19 points, 17 rebounds, & 7 assists. He’s compared to Brandon Roy. Ready to explode for his sophomore season, Ebanks is one of the most athletic players in the college game. Aminu has started the season off strong, averaging 24 points & 11 rebounds in two games. He’ll have a huge season. 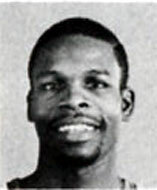 In his opening debut as a Kansas Jayhawk, Henry scored 27 points and hit 6 threes. Consider him a one-and-doner. Some compare him to Paul Pierce. 6-10, skinny and skilled… he has all the talent to dominate. Let’s wait until the end of the year. It might be a good year to have two picks. Man, I hope we draft the guy from VCU. If we can recreate the 2008 VCU team in the NBA, who could stop us?